Bogotá has its own set of rules. Figuring out these rules is part of the adventure when traveling. Bogotá can make you feel like you have to earn your place but there is a sense of mutual respect once you prove you can mange it. It is then you can concentrate on the magic that is discovered on the side streets and in the faces of the Bogotanos. If you let the chaos get in your way you miss the beauty. Traffic is bad, like takes 2 hours to get across town in rush hour bad. And let’s not talk about the pollution. 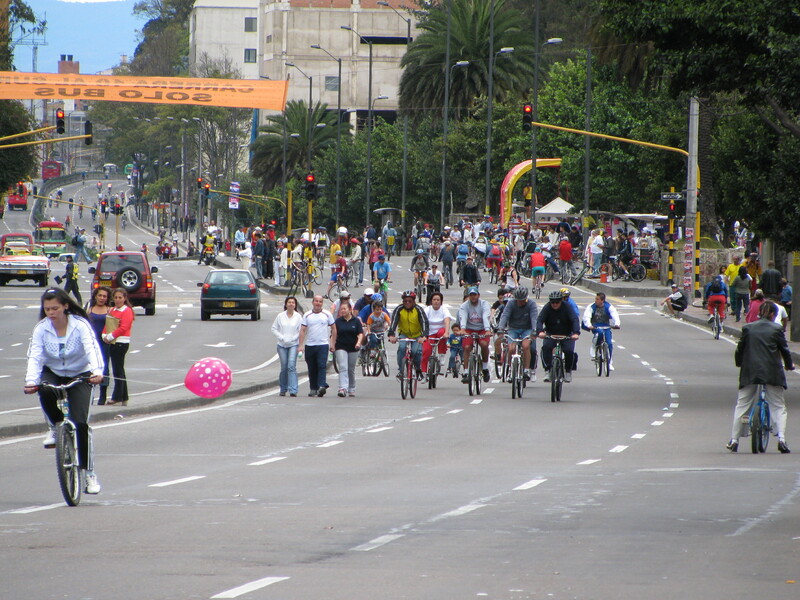 But there is a ciclovía movement that has been taking place since the 70s. Every Sunday and holidays over 70 miles of city streets are closed for residents. More than a million and half people join each other for walking, running, hanging out in parks that cover 70 percent of the city neighborhoods. 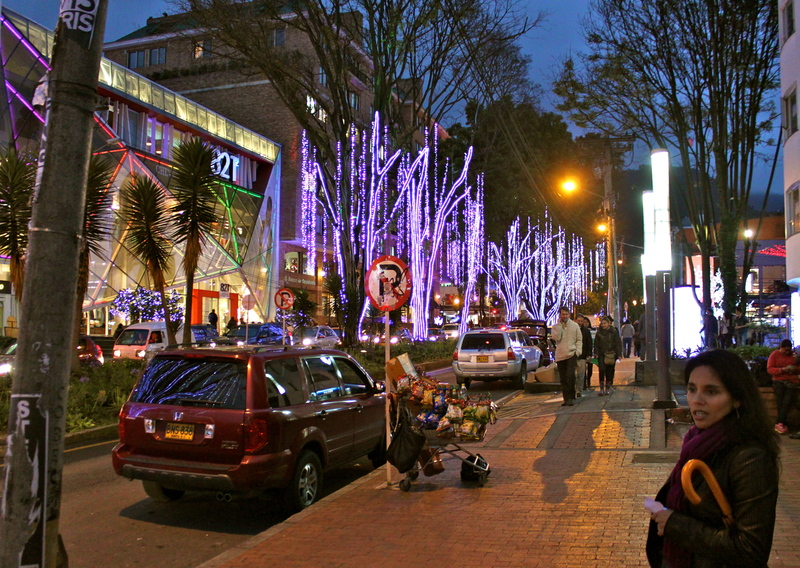 Late December is a particularly good time to be in Bogotá as this city takes its Christmas time seriously. Like, investing $10 million dollars in Christmas light installations serious. Bogotá loves a Christmas light. So enjoy these bright colorful lights while you sit in traffic. Graffiti covers many surfaces in Bogotá but if take a bike tour or head into the historic La Candelaria neighborhood you will discover a street art scene that will amaze you. There are even free tours given where you can get educated on the rich history of street artists, their techniques and tenuous relationship with the government. Look at Bogotá through her eyes and you will see something remarkable. There is a reason Colombia is the happiest country in the world despite what many hold in their mind about the country. Rainy and cloudy, our plan to see Cerro de Monserrate was on hold while we waited out the rain at Cafe Pasaje. This gave me y an opportunity to enjoy my first aromática tea. Everyone has their own version but this was with lime and plenty of fresh mint. As the names indicates the aroma from the tea is much apart of the experience as drinking the tea itself. Construction of the church atop of Cerro de Monserrate began around 1640 and now includes restaurants, a cafe and shops. 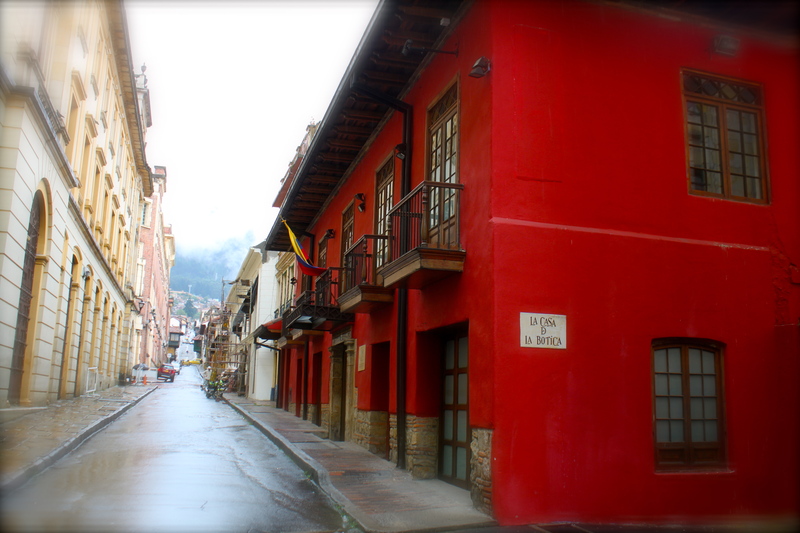 It is a must-see when visiting Bogotá. The calm looking down at the city is remarkable and you really get a feel for how vast the city is. We all made our way to the ticket office at the base of the mountain to take the cable car up. Check out this video I made to see the view for yourself. It’s unbelievable. Climbing up in the 40 person cable car provides a wonderful view of the houses on the mountainside. You can feel the air get a little crisper and the traffic sounds fade as you ascend. Many people take the funicular or even walk or run up the 2 kilometer path. If you are not used to the altitude this might be harder than it sounds. Hundreds of people worldwide make the pilgrimage to the church you see in the video at the top of Monserrate. Mass is held regularly and there are messages of hope that line the church walls. Coming back down from the mountain felt like waking up slowly from a dream. Back to the traffic, people and hustle. We had a late lunch at Crepes & Waffles. This is a chain restaurant that provides “fast” healthy food. I had the Ensalada Portofino with Feta cheese, dried tomatoes, variety of fresh lettuce, black olives, cherry tomatoes, basil, mushrooms, onions, pesto, vinegar fine herbs and olive oil. I also had the lentil soup which was rich and hearty. Something you should definitely try is the insanely refreshing drink called limonada de yerbabuena. Made with lime juice, mint, sugar, water and ice. It’s a slushy paradiso. Besides sweet and savory crepes the menu has pitas, ice cream drinks, bread bowls and wine. If you have to eat at a chain, this is the one. Zona Rosa is a great area north of the center teeming with bars, restaurants and shopping. We met friends for a drink at Pravda a martini bar in Zona T. They have fabulous martinis and with the altitude, one is enough. We sat outside and watched the beautiful people walk by in pedestrian only streets. Exhausted and exhilarated we headed back to our hotel to get some sleep and wonder what Christmas Eve would bring the next day.